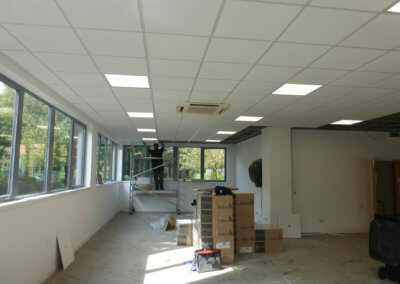 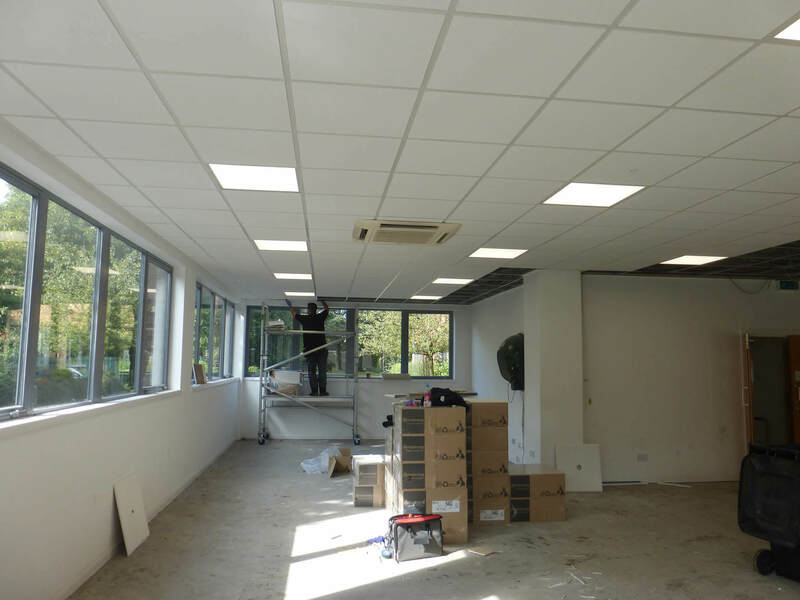 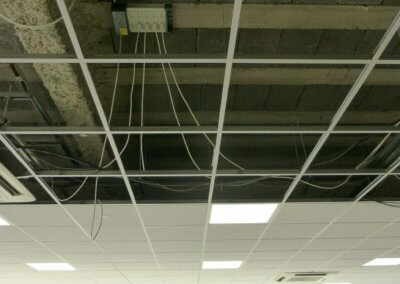 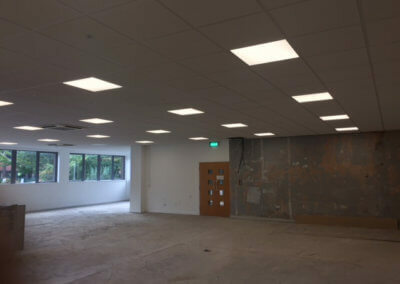 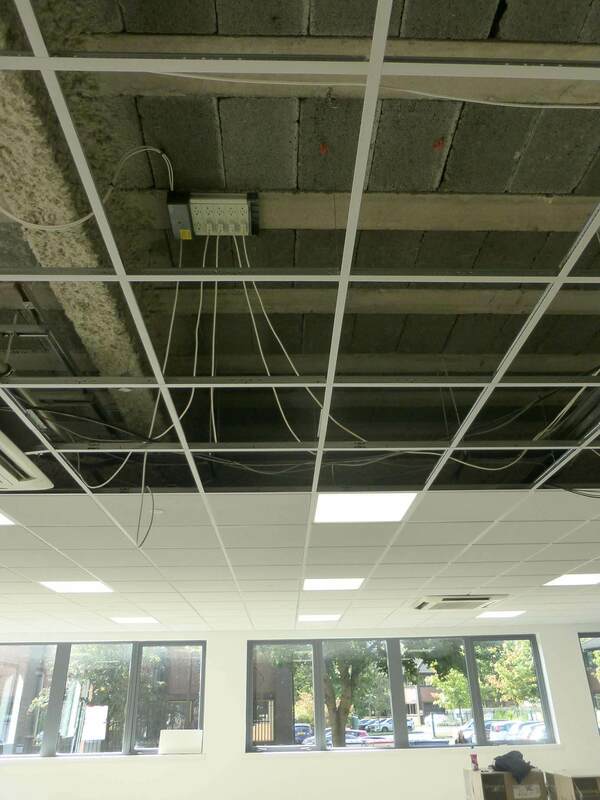 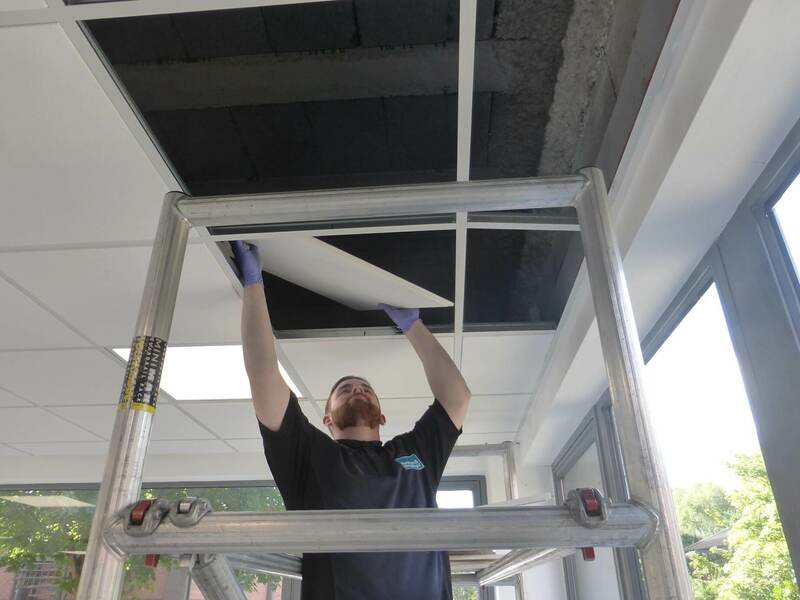 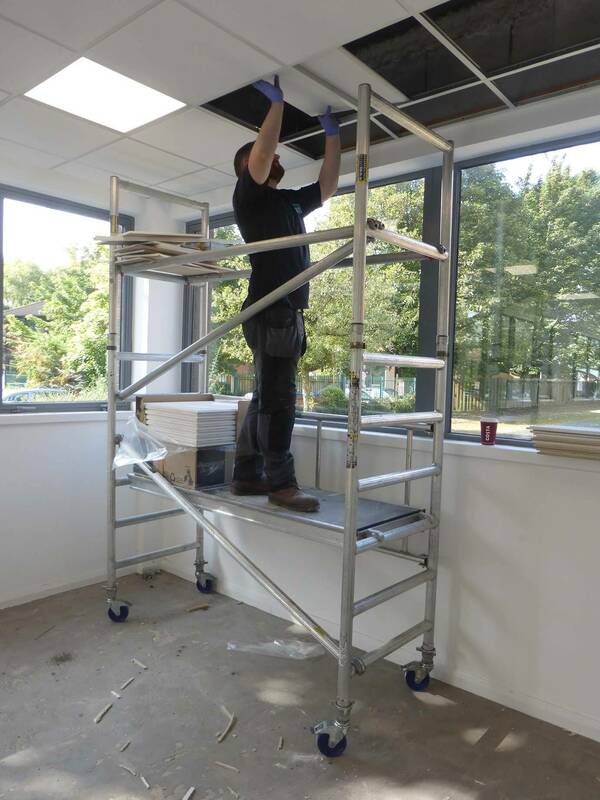 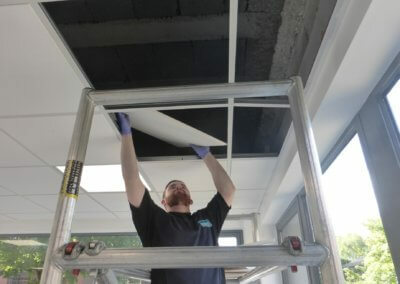 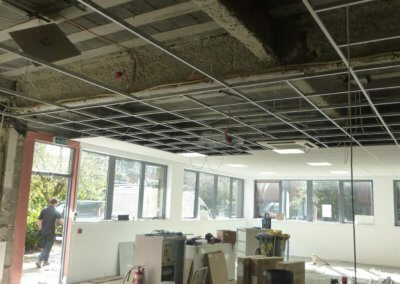 Following the disconnection and removal of the fluorescent modular fittings we designed and installed the false ceiling grid system complete with new ceiling tiles throughout the ground floor. 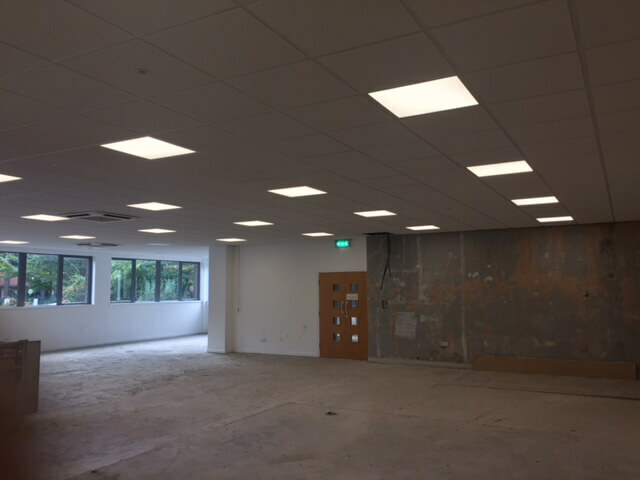 We wired dedicated circuits to Klix lighting management units & occupancy sensors and fitted Ricoman LED panels throughout. 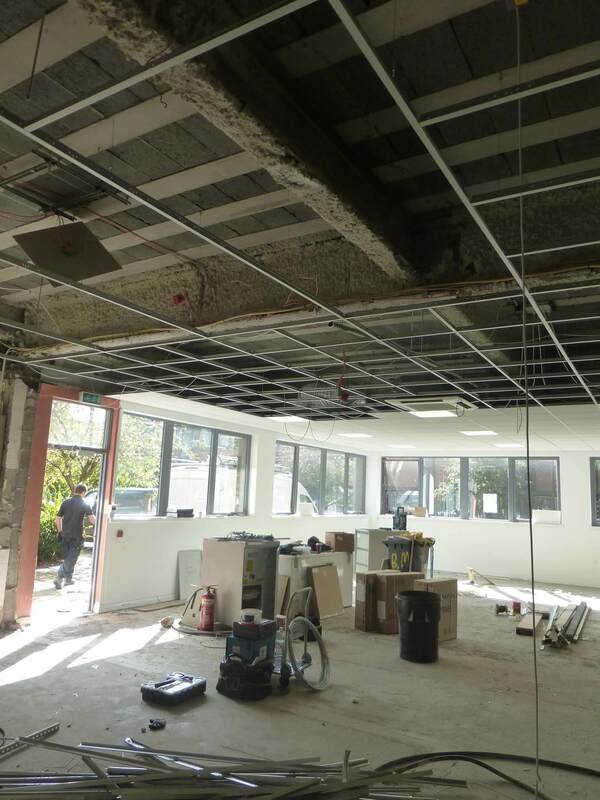 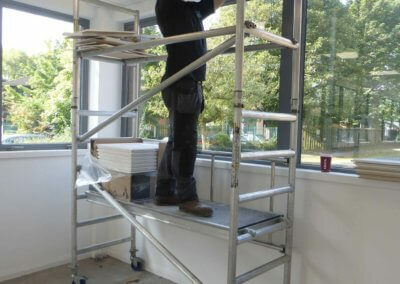 The site is located in Salford Quays and the work was for Peel Holdings Ltd (installed 2017).